Dakar is a city of contrasts. 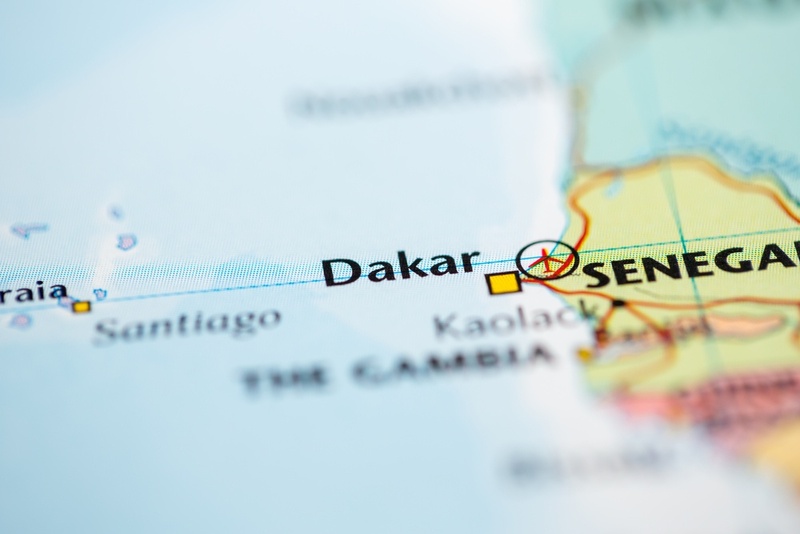 On one hand, it’s Senegal’s capital city, home to almost 2.5 million of the country’s 12 million people, and a bustling central hub for West African business, politics, and culture. Around every corner, colorful taxis and buses honk their horns battling the city’s traffic. People are hurrying to work in suits, carrying briefcases, and talking on cell phones about important business deals. It is the epitome of a thriving West African capital city. But, on the other hand, the roads and sidewalks are shared with horse drawn carts and goats, street vendors sell handmade wares and cook spicy fish and rice over open flames, and women wear traditional, brightly colored dresses. Evidence that the Senegalese authenticity is still there; not yet overshadowed by nice suits and concrete skyscrapers. Venture just outside of the city or take a short boat ride to an island, and you will find some of the best surfing in the world, or you can simply relax on an unspoiled beach. Travel further away from the coast and you will find genuine countryside villages, and stunning scenery. 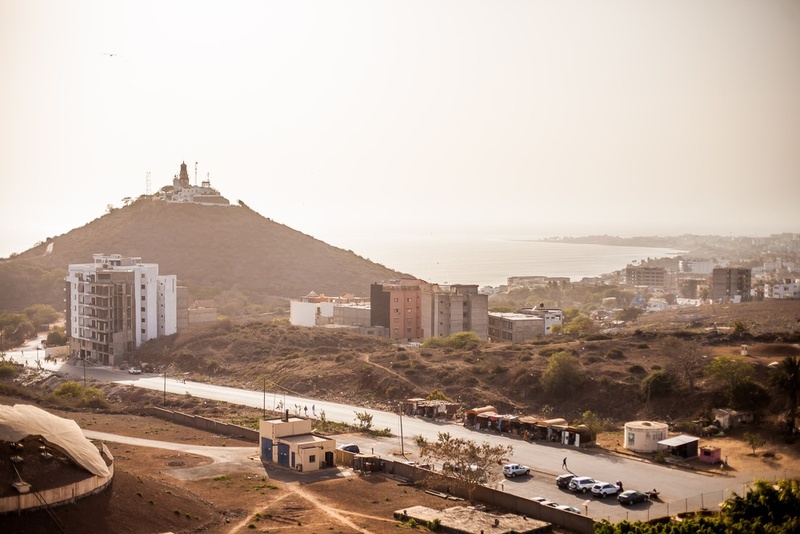 It’s not common to find a city like this that isn’t yet overrun by tourists, making Dakar the perfect destination to plan your next off-the-beaten-path trip. Languages spoken: French is the official language, but Wolof is the most common language. Arabic and nearly 36 other languages are spoken as well. Most people in Senegal are multilingual. Hello/ Salaam aleekum. / Bonjour. Please/ Mangi dem. / Au revoir. Thank you/ Jërejëf. / Merci. Religion: Islam is the religion of the vast majority of Senegalese people, making up about 95% of the population. Christianity and other religions make up the rest. Currency: The currency used in Dakar is called the West African CFA Franc," pronounced "say-fa." There is a wide range of accommodations available in Dakar. It has 5-star hotels on the beach or downtown, cozy hostels, and everything in between. Some highly recommended hotels on the more expensive side are the Rysara Hotel, and Terrou Bi. The Rysara is a small, boutique hotel with only 16 rooms, in a hip part of Dakar close to the city’s landmarks and political center; perfect for a romantic and adventurous getaway. Terrou Bi is a 5-star resort on the beach, but is still just a few minutes away from the busy city center. Both are great options for travelers with higher budgets. On the cheaper side, hostels are popping up around the city. There is a growing need for more inexpensive, yet quality accommodations for travelers with tighter budgets. At just $12 (USD) a night, Annexe Kingz Plaza is a good option, but you get what you pay for with dorm style rooms, and shared living spaces. Luckily it’s just north of downtown, so getting anywhere is easy. Hotel du Phare, with a more laid back feel, is a bit further out of town, but still just a short drive to the beach and the center of the city, and slightly more upscale than hostels you will find while still being budget friendly. Airbnbs are also growing in popularity, so make sure to see if you can snag a good deal on a downtown apartment or a beachfront house. There is a wide variety of things to do in Dakar. As you have probably come to realize, a big draw are the beaches and surfing. The surf breaks in Dakar are some of the best in the world, ranging in difficulty from beginner to expert. Dakar is one of the few major African cities that boasts a large beach and surf culture, and understandably so. There are miles of golden sands to lay out, soak up the sun, or catch a wave. Some of the best beaches are Virage Plage, Yoff Plage, and Vivier. Virage and Yoff both have calmer waters, better for more inexperienced surfers. Vivier on the other hand, is one of the five surf spots where the experts go, and often considered Dakar’s best mainland surf spot. 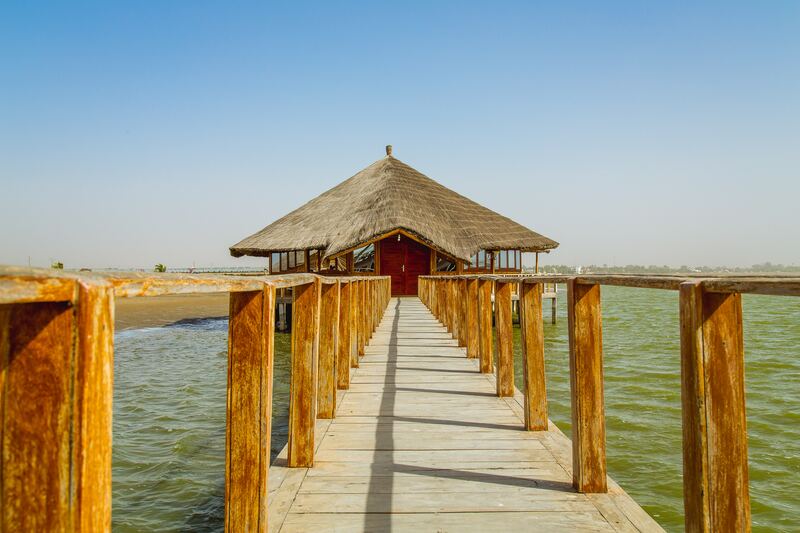 The next must-do in Dakar: visit the islands. 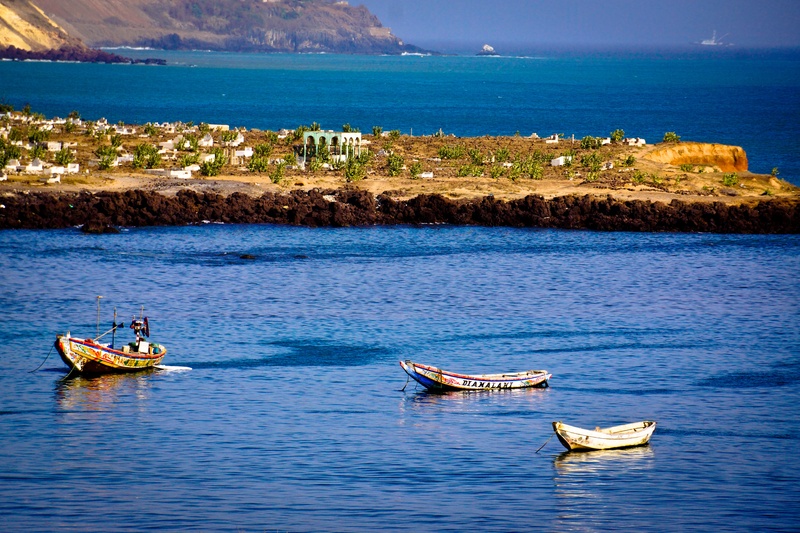 The majestic islands are where people go to escape the hustle and bustle of the Dakar streets. Whether you want to just visit for the day or stay for a few, you won’t be disappointed. Some of the best are Ile de N’Gor, Ile de Goree and Ile de la Madeleine. Ile de N’Gor is probably the most popular for locals. It’s north shore is full of expert surfers trying to catch massive waves, while the other shores have striking beaches perfect for relaxing, and can make for an ideal island getaway. Ile de Goree is full of culture. Once a slave-trading port, now a UNESCO World Heritage Site, it has a powerful history. The cobbled streets, lined with French colonial buildings, are simply a must visit for culture buffs and ocean lovers. Ile de la Madeleine is another beautiful beach hideaway. Fully protected by the Senegal National Park Service, this unspoiled island is the best place for a romantic picnic or secluded island escape. Both Ile de N’Gor and Ile de Gorree have ferries that run throughout the day. Ile de Madeleine is a little bit more difficult to get to, but you can often find a pirogue at the port that will drop you off and pick you up at an affordable price. Yes, Dakar’s beaches and islands are incredible, but the scenery, history, and culture here is equally as breathtaking. Some cultural must-do’s in Dakar are the Musée Theodore Monod, the iconic Monument de la Renaissance Africaine, and La Maison de Esclaves. Musée Theodore Monod is arguably the best museum in Dakar, and will teach you about ancient African art, music, and culture. You can easily spend a half a day here. Monument de la Renaissance Africaine is a statue depicting a man, a woman and a child looking out to the sea, atop one of the two signature hills in Dakar. Larger than the Statue of Liberty, and the tallest statue in Africa, it’s hard to miss this gargantuan sculpture. For free you can climb the 102 steps to the base of the monument for a perfect view of Dakar and the Atlantic. For a few dollars you can go inside the Monument which has a small museum and a tiny elevator that ascends to the top for an even more spectacular view. It’s worth mentioning again that the stunning Ile de Goree, home to La Maison de Esclaves (The House of Slaves) is a must-visit.La Maison is a former slave trading post it has now been turned into a museum It should be on any visitors list of things to do in Dakar. For a quick and adventurous day trip, it is worth heading about an hour north-west of the city to Lake Retba (Pink Lake). The lake is in fact pink, caused by a unique algae that emits a reddish pink hue into the water to absorb sunlight. It is also known for it's incredibly high salt content (above 40%), making it saltier than the Dead Sea, and the perfect place to have a float or admire locals collecting salt. The nightlife in Dakar is booming. Mbalax, a Senegalese dance music genre which mixes traditional Sabar drumming and dance, with western jazz, soul, and rock, can be heard day and night. People in Senegal take Mbalax and music very seriously, evident in their lively nightlife. Some of the best places to go for a cold, refreshing drink and some dancing are: Just 4 U, Black and White, and Yengoulene. Just 4 U is a legendary Mbalax venue. The most famous national and international stars have come to perform here, and you will find the bar has live music most nights of the week. Black and White is a laid back beach side bar, usually bumping reggae and West African beats. Yengoulene is another well-known bar in Dakar, often with live music on Fridays and Saturdays. It’s a little bit further from the city center, so for those not staying on the beach or in the heart of downtown, this is probably your closest and best option! Regardless of where you go out at night, two things are for certain: there will be good music and a lot of dancing. For the most part, Dakar is beautiful all year round. There are a few rainier months in August and September, but the weather stays consistent between 68°F (20°C) and 88°F (31°C). If you don’t want a few days of rain on your trip avoid August and September, but other than those two months, there is not a bad time to visit the picturesque city of Dakar. Getting to Dakar is super easy! There are direct flights from NY and Atlanta to Dakar daily on Delta. The flight is only 8 hours - a bit longer than a flight from NY to Paris. Why go to Paris and do what everyone else does? Take a unique, off-the-beaten-path trip to Dakar for a more laid back, culturally rich, and exciting trip. From Europe, there are direct flights from Paris, Lisbon, Milan, Brussels and Madrid. 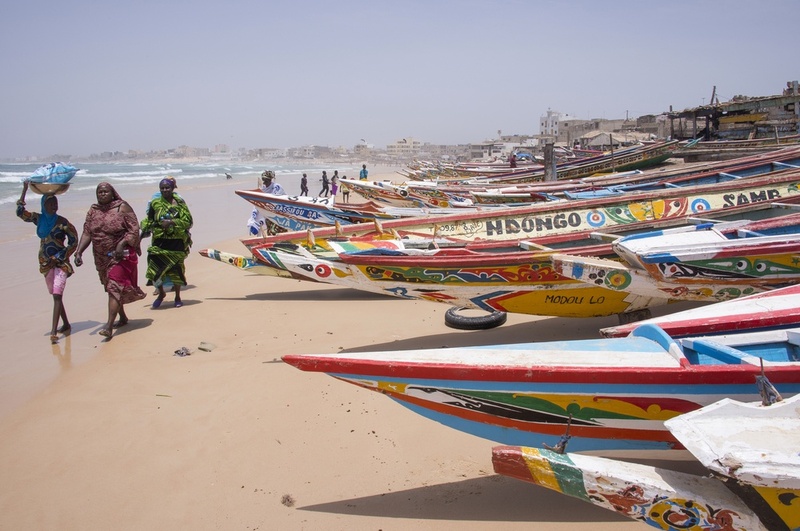 Pick the right flights and they will be non-stop, getting you to Dakar in under 7 hours. Once you make it to Dakar, taxis are cheap and safe to take everywhere. However, they don’t use meters, so make sure you negotiate your fare before you hop in to avoid being scammed. If you are feeling adventurous, there are small buses called Cars Rapides that cruise through the city streets. Just flag them down, tell the driver where you are going, and get on if it is heading the right direction. These are safe and extremely cheap! The drivers often don’t speak English, and most don’t speak French, so be prepared with some Wolof phrases. You can also coordinate a private driver for your time in the city, which can be affordable if planned ahead of time, and most hotels will offer free or cheap transportation to and from the airport. Senegal is a primarily Muslim country. You will see people doing daily prayers in the streets and celebrating Muslim holidays, but by and large, it’s much less traditional than what you would see in the Middle East, Malaysia, and parts of India. Muslim women in Senegal can be seen wearing anything from a Hijab to shorts and a t-shirt. Travelers don’t need to be fully covered, and can feel free to wear normal clothes one would wear in a hot, humid and tropical climate, without fear of being stared at or chastised. Although West Africa has been in the news for periodic health and safety issues, Senegal has been a pillar of stability in the region. Obviously, the normal precautions should be taken when travelling alone, or with a group. Avoid certain areas at night, don’t carry valuables, and be aware of your surroundings. Scammers and pickpockets are somewhat common, but keep your wits about you and you will be just fine. You will quickly come to realize Senegal is home to some of the friendliest people on earth. Befriend a local and you might just be invited over for a Senegalese family dinner. With culture, history, beaches, islands, lively nightlife, and a growing economy, Dakar is one of the world’s best kept travel secrets.